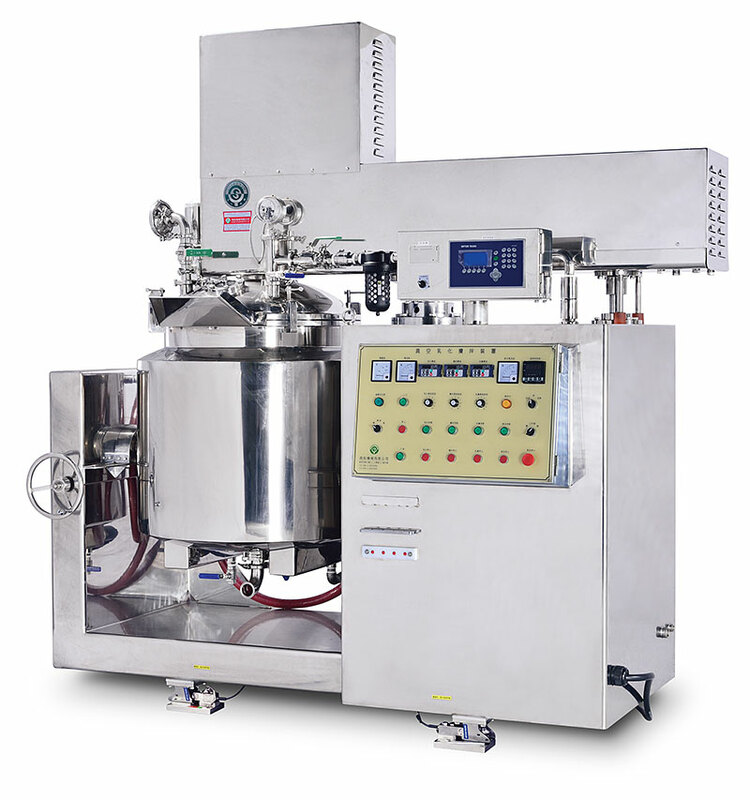 Vacuum dispersion mixer is an improved design which can meet requirements of more diversified, complicated and pro?fessional food, cosmetic or pharmaceutical formulas / processes. 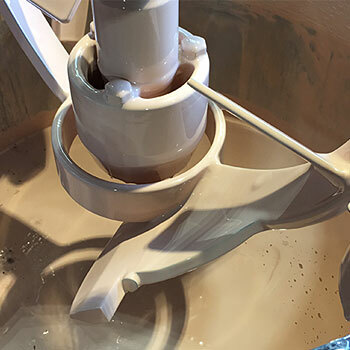 This mixer may remedy the deficiency resulting from the reduction of use of emulsion. 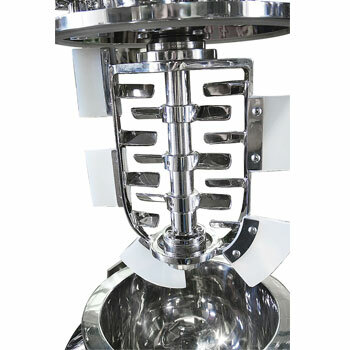 Meanwhile the feeding and stability of the products will be greatly enhanced. The different type of blades can be choosing for manufacturing purposes. Dispersion type: By super-high speed spinning of blades the material has been sheared when it goes through blades. 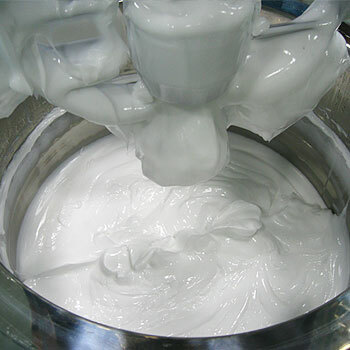 Turbine type: For high viscosity fine particle cream the turbine type blades successfully work. The turbine type blades produce air-cavity by which good dispersing effect is reached. Screw type: These blades produce turbulent flow and shear force by which good dispersing effect is reached. 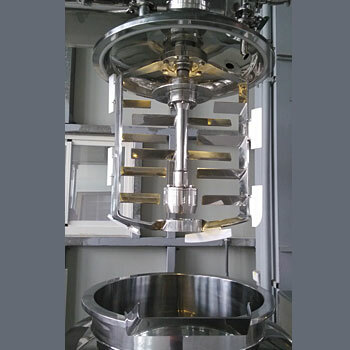 Double blades type: For low viscosity material the double blades successfully work. Air bobble is eliminated during process. Reversing type: Same as screw type blades. All blades are replaceable, easily dismantled and installed.